Could A Vision Board Ensure Your Success In 2019? 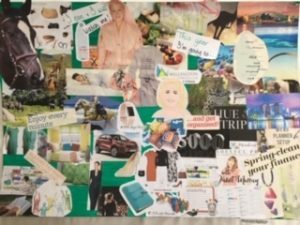 Vision Boards, love them or hate them? 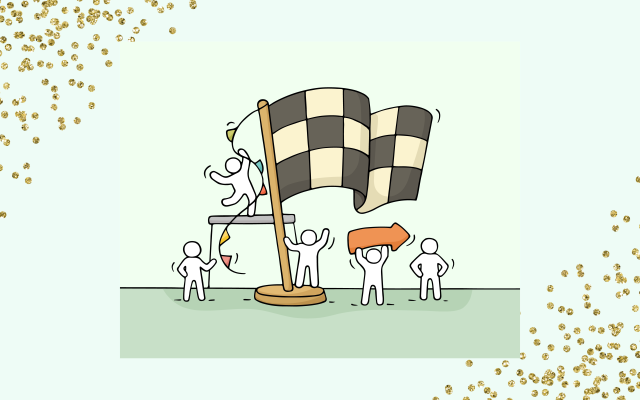 We all want success in our businesses, otherwise we wouldn’t be putting in all the hard work, right? But are you frustrated by the time it’s taking to achieve that success? Do you feel that you gave up working a 40 hour week, to work an 80 hour week and earn less money? It can take time to build a successful business, we all know that. But if you feel like you’re living the same year twice or you have the same goals on repeat year after year, you might need to try something different. Albert Einstein is credited with the phrase “Thedefinition of insanity is doing the same thing over and over again, but expecting different results”. There is so much truth to that. If we want to get different results, we need to try a different tactic. Doing the same thing year after year and expecting it to give you different results is definitely a form of insanity! So what can you do differently this year, that will change the results you get? Well, my favourite tool for helping me achieve success is my Vision Board. In this video I explain why I believe Vision Boards are so effective. Now before you switch off, and go off to find something more interesting to read, hold on for just a minute! Vision Boards have had a lot of press in recent years, some of it good, but some not so much. Of course, as with most things, everybody will have their own opinion. I asked people’s opinions of Vision Boards in a recent post on Facebook. One person respond that they thought Vision Boards were a waste of time. So I asked the person if they had ever done one and they said no! Now forgive me if I’m wrong here, but how can you say that something is a waste of time if you’ve never tried it? A Vision Board is a great way of clarifying exactly what you’d like to achieve over the coming year. You can then focus your precious time and energy on the activities that will help you reach those goals. Without that clarity you can end up just getting sucked into the minutiae of the everyday running of a business. It’s so easy to lose track of why you’re doing it at all. I’m sure you’re well aware that busyness doesn’t necessarily equate to financial success. I very much doubt if I’m the only person who’s told themselves they’re busy working. But then I’ve realised it hasn’t actually been busyness that results in bringing money in. Sorting out emails, posting on social media, learning more about how to achieve success are all great things to do. However, they are not going to bring in the business and help you reach your goals. A well thought out Vision Board should visually represent your dreams and goals. It should be placed in a prominent position where you will see it everyday. And it can be the ONE thing that ensures you stay focused, on track and will actually help you reach your goals and dreams. Here’s my Vision Board from last year. It is quite crowded because it includes small goals as well as bigger things, that I wanted to achieve last year. I have similar boards from the last 4 or 5 years. I love the way they motivate me on those days when it’s really hard to get out of bed and do what needs to be done. Of course I want to move my business forward but sometimes I need a bit of help. A quick glance at my Vision Board to remind me of my “Why” is often all that’s needed to re-inspire me. I then have the motivation I need to press on, even when it’s tough. And they work! I have always achieved most of what I’ve put on my Vision Board at the start of the year. That in itself is so encouraging! It’s worth all the effort when I know that I am making real progress, just by looking back at my Vision Boards. To help you achieve your goals and ensure you don’t repeat the same year twice, check out my next Vision Board Workshop here: www.tracyjaynehooper.com/vision-board-workshop. If you’re too far away to come along to an in-person workshop, drop me a message via the link above. I will then add you to the waitlist for my first online “Design A Life You Love Vision Board Workshop”.